Discussion in 'NR2003 - PC Support and Troubleshooting' started by martinistripes, Apr 16, 2018. NR2003 is modded and setup for a 2012 season using '12 Bullring mod and only SDT and FSE tracks. I'm having issues with the texture set size. 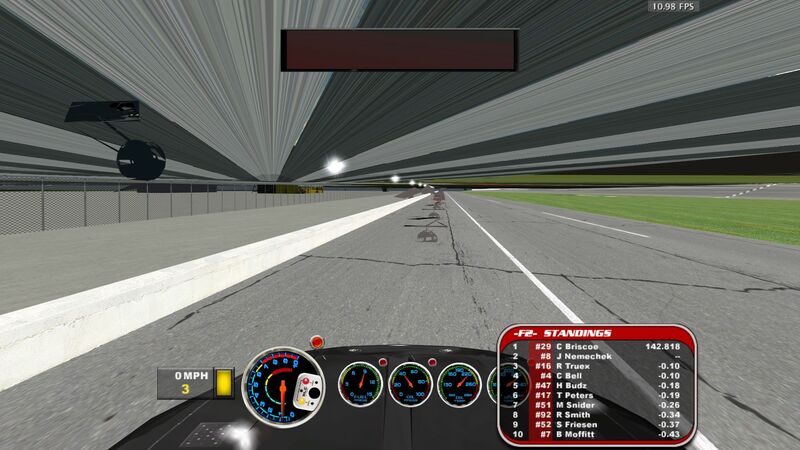 It seems if I calculate it using the calculator here http://bigdonlinemotorsports.com/NRgtweak.php and input the recommended TextureSetSize (6409273344) in rend_dxg.ini, I get intermittent graphics corruption (flickering and warped cockpit/objects). I thought perhaps the sim cannot handle so much video RAM so started reducing this number. Anyway, after some experimentation it seems the highest I can set my video RAM using bigdonlinemotorsports calculator and not get graphics corruption is 256MB. This gives me a TextureSetSize of just 235257856. Whilst the textures are okay like this, they're not as sharp as when I use a higher number. Has anyone else come across the same issue? By the way, I've set up this sim numerous times in the past with mods and the usual graphics tweaks. It's only this most recent time (with Win 10) that I'm having this particular issue. PS. I get the same issue if I set the size to -1. Tetronix and InsideLine like this. Did you try my most recent sticky thread titled graphics optimization before posting this problem? Are you both running the game in DX9? If you are still running DX8 on a newer PC it can cause this problem. Download this https://goo.gl/KsP2N8 and copy just the D3D8.dll file to you main NR2003 directory. I tried that dll file and my game wouldnt start. I also have about the same size computer and Some nights my fps drop to 4 ? 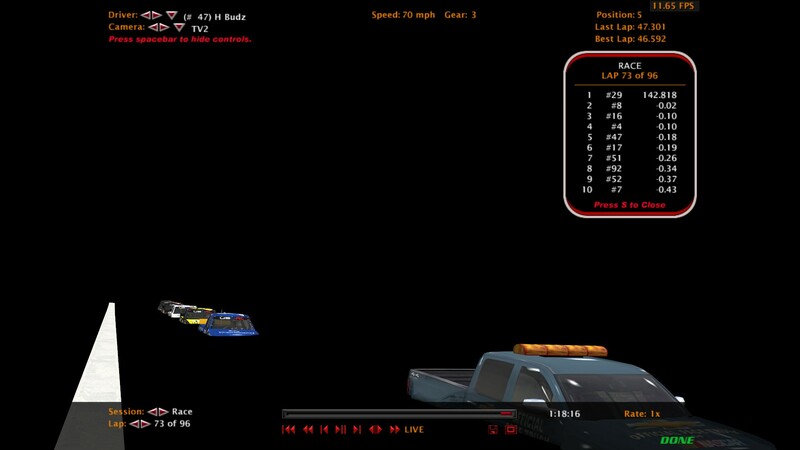 I cant even race when this happens. I changed everything the rend numbers using the graphic tweaker , changed drivers a million times. From what im reading Nvidia has stopped supporting the old games in their drivers. Someone needs to come up with a patch or we wont have this great sim to play anymore ! Ive switched my vid card going back to my nvid 560 from my new 1060 only to have the same results. Then I look at it and the drivers are the same for both cards. I get same results in win7 or win10. Ive tried everything and the frames are low and even drop so you cant play it. I have a computer that will play all new games with high or med settings and it cant run NR2003 anymore ? something isnt right here. Someone please get a patch for this !!! i just tried the dll file and it does nothing for my frames ? I went from 4 or 5 FPS at the heaviest tracks to 40 - 120 FPS running in DX9 using that DLL file. Are you also running compressed cars? 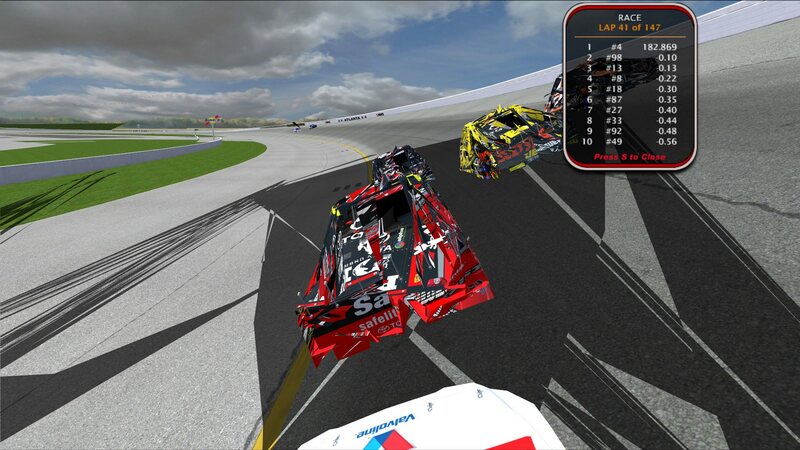 I also found that running a lot of uncompressed cars and pit boxes makes things worse as well. i have a mix of cars 1024 and 2048 . But Ive been saying about the nvidia drivers not supporting this game anymore. I just bought a Radeon r7 250 . Middle of the road card to test and I have no problems with Radeon. Their drivers do well in the game. Its a shame becasue i got a 1060 Nvid card not long ago and this Radeon runs the game better. So bye to Nvid . Problem solved . I'm not talking about the size of the car textures, I'm talking about compression vs no compression. I find that if I also run a large amount of uncompressed cars the game will crash trying to load them. I bought my GTX 1080ti because it performs better on the games I play most so I'm happy to have to use a few work arounds for NR2003.